Product prices and availability are accurate as of 2019-04-19 03:57:04 UTC and are subject to change. Any price and availability information displayed on http://www.amazon.com/ at the time of purchase will apply to the purchase of this product. 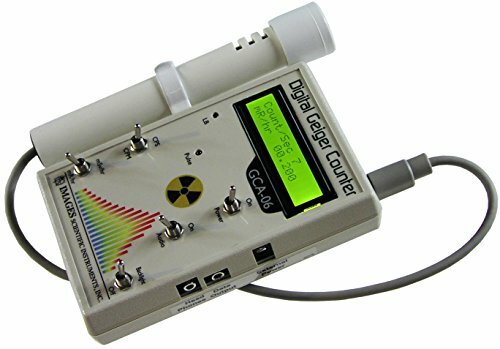 The GCA-06W Digital Geiger Counters are NRC certification ready instruments. Useful for detecting and accurately measuring radioactivity. The GCA-06W Geiger counter has an external wand that contains a LND 712 GM tube. The external wand makes it easier to search materials and surfaces for radioactivity. This Geiger counter's applications are: Education - Classroom demonstrations and nuclear experiments; Emergency Services and Domestic Preparedness for nuclear accidents. Compliance Verification and Radiation Screening for wastes and other materials. 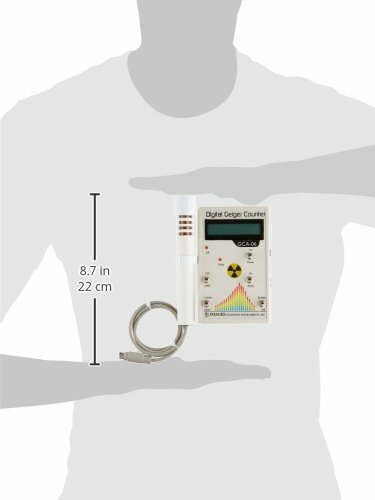 The GCA-06W nuclear radiation detection monitor detects the following types of radiation: Alpha radiation above 3 MeV, Beta above 50 KeV, X-Rays and Gamma above 7 KeV. The LND 712 Geiger Mueller (GM) Tube detector is Ne + Halogen filled; has a .38 effective diameter and a 1.5-2.0 mg/cm2 mica end window. The Liquid Crystal Display is a 16 character by 2 line that provides an easy to read digital output. 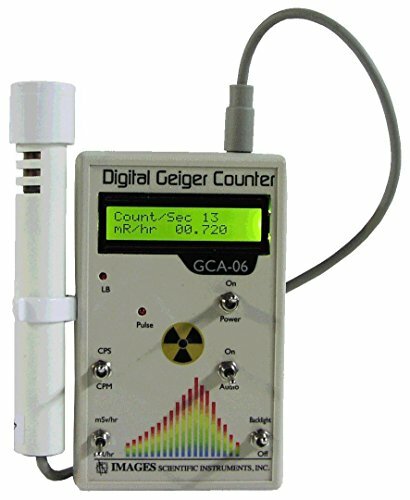 Switch selection allows GCA-06W Geiger Counter to measure and convert radiation (counts per second) into in mR/hr or mSv/hr. Time selection switch allows Counts Per Second (CPS) or Counts Per Minute (CPM) mode. Factory calibrated using an NIST traceable source to insure measurements. NRC certifications are available at additional costs through the manufacturer. Data Output Jack: Outputs either Serial Data (default) or TTL logic pulse for each radioactive particle detected. Jumper switch selection. The serial output is the counts per second sent via USB cable (not included) to our Windows PC Geiger Counter Graphing program (not included) for charting and recording the measured radiation over time. Secondary indicators; audio (clicks) and visual (LED) included. Also includes a headphone jack and a power jack for external power. A 110 VAC to 9V wall transformer power supply is included. 9V battery (mobile operation) not included.